As previously shared, Emily and Lily love their sticks. This video is from August 2013, and Lily had only been with us for about a month. My girls crack me up daily. How about yours?! 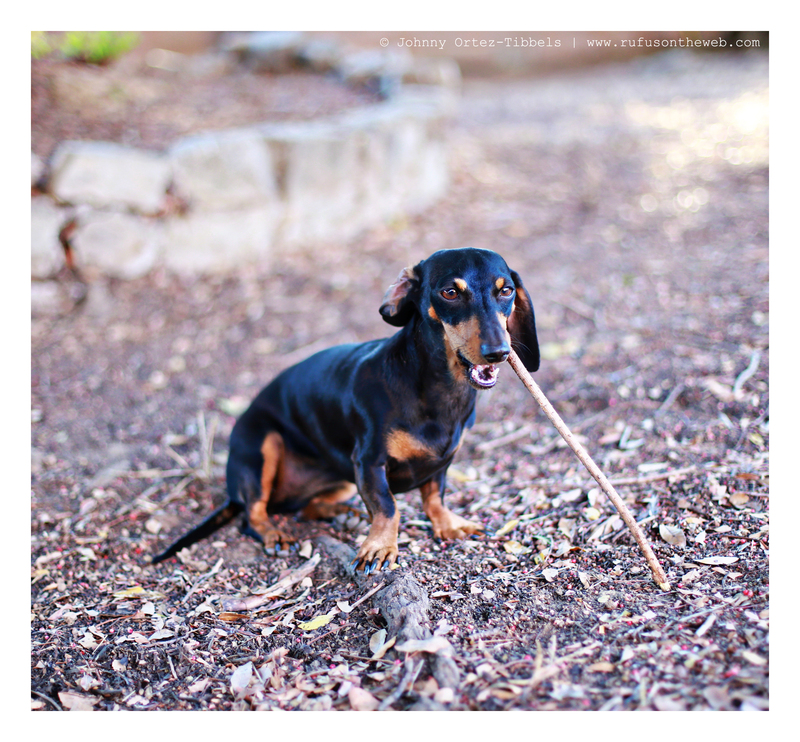 This entry was posted in Emily, Lily, Rufus and tagged #black and tan dachshund, #dachshund, #DachshundsAtPlay, #smooth dachshund, doxies. Bookmark the permalink. I call watching my “kids” play “The Greatest Show on Earth!” For me there is nothing better…I laugh until I have tears running down my face, there’s nothing better! OM gosh!! Every day my doxie girls crack me up!! !